Sometimes general contractors or handyman/handywoman are able to do things like install ceiling fans, toilets, new faucets and as well can handle the repair and patching of drywall. While these contractors can handle multiple tasks in and around the house they may not necessarily be licensed for each task like plumbing, electrical, HVAC maintenance and more. Therefore it is important to find out if the person doing handy work in your house is experienced enough to handle all that you need them to do otherwise you could run into problems with work that is not done properly and which leads to something going bad sooner rather than later. Additionally where the work to be done requires building permits there will be a requirement for licensed electricians, licensed plumbers, licensed HVAC technicians to do the work otherwise the work could fail the permit inspection process. Doing everything according to permits is generally more expensive but is recommended since if your local building department discovers later the lack of permits then the work could be forced to be undone or a more complicated and costly process of inspections could be required and any failures will require additional work to be done by licensed contractors. Additionally if the unpermitted work is discovered upon sale of the home many homebuyers can use the lack of permits as reason to cancel an offer to purchase the home. As is with many things in life the first person to come along or the cheapest estimate may not always give the best results. Some contractors go door to door and say they are working in the neighborhood and in order to save some money they can do some work for you which could result in some savings. While there is nothing necessarily wrong with contractors offering their services while door knocking, the homeowner would be better off not rushing into a project in hopes of saving a few dollars because a contractor is supposedly working in the neighborhood. If a project has not been properly planned or thought out the end results may be less than desired and the cost to change things to get it to where it should be will end up costing more. Thus by waiting and possibly spending some more on a project and getting the right results the first time will be cheaper than getting the wrong result due to a hasty decision to hire someone because they knocked on your door and offered you a discount now. Word of mouth is one of the tried and true ways of finding contractors especially if you happen to know the person well who is providing the word of mouth referral and you can see the results of the work performed by the contractor they are recommending. 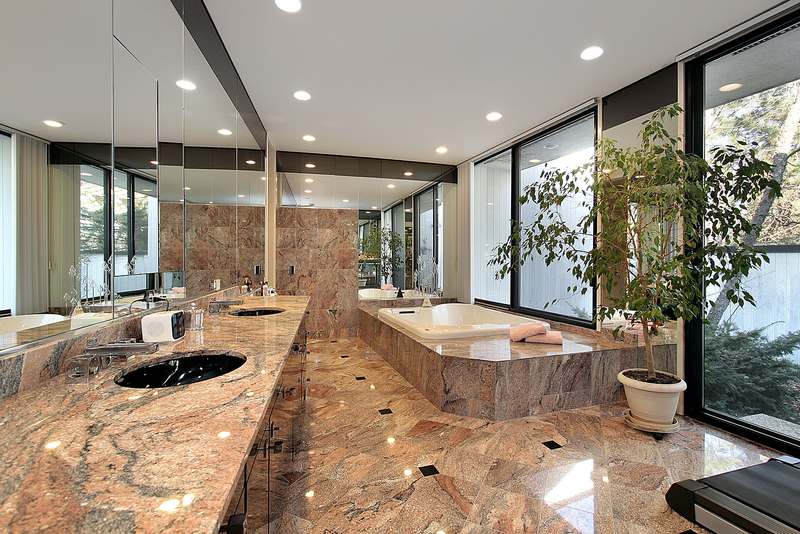 It is also good not to just consider the word of just one person and ask the contractor if you can see or visit other examples of their work to get an idea of their overall quality. Be aware though contractors can be selective in the examples of other work they have done in order to show the best quality. As the project you are attempting to have done increases in price it is better to take your time and thoroughly vet contractors to try and ensure the best work is done. Online reviews for contractors may also be helpful for finding a good contractor. Based on all the review platforms out there you need to make sure you view reviews on more than one site. Sites like Google, Yelp, Facebook, Angie’s List, Better Business Bureau, and more can have reviews of contractors. Make sure to read the most current reviews and look at the negative reviews as well. What do the negative reviews say and did the contractor address the negative review? Sometimes you cannot satisfy everyone and there will be those who will complain because of something small. Of course if there are numerous negative reviews, which cover many different issues, that should serve as a warning to avoid the particular contractor you are considering. Once you have actually chosen a contractor next up is to get the estimate and sign an actual contract to have the work done. In many areas (Cincinnati included) with the housing market as hot as it is contractors are very busy and it is not unheard of for homeowners to wait weeks or more before a contractor can get to their job. If the contractor is good and their quality is evident it may be best to wait for them to schedule you in rather than get someone who is ready tomorrow. The contractor who is in demand is most likely doing a good job that people keep wanting to hire them. Some contractors may ask for a small deposit to hold their schedule for you whereas others may expect partial payment on the day they start work to cover their purchase of supplies and materials. Every contractor will have a different policy so be sure to discuss with them upfront how much and when you will need to be paying. 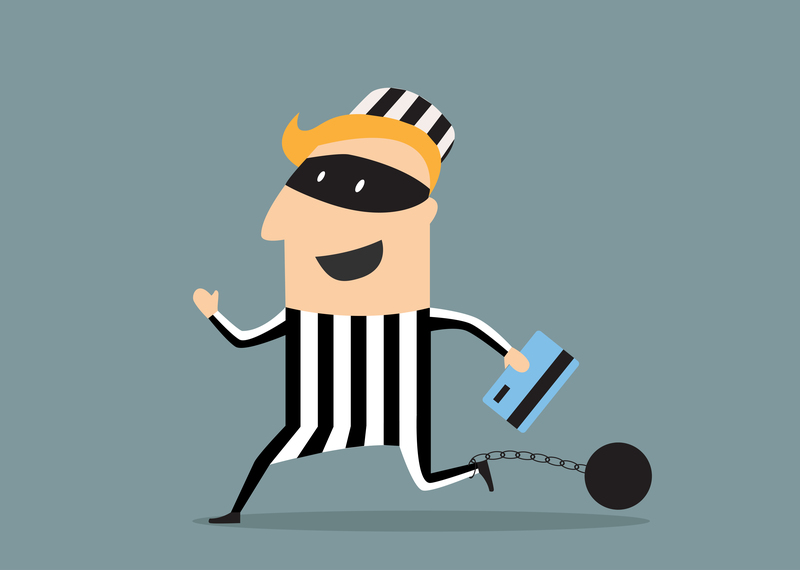 If a contractor is requesting half up front and won’t get to you for a couple of weeks then some caution is advised and double checking that the contractor is legitimate is better than losing half of the amount of money it would take to get the job done. If a contractor is asking for a lot of money up front prior to even starting any work that contractor may be using money from you to fund their other work due to underbidding on projects. Eventually that type of behavior will catch up to them, but that should be a red flag that maybe you want to avoid that contractor so it does not catch up to them while they are working your project. The contract you sign should include terms such as total payments, how and when the payments are to be made, what the contractor will be doing and what types of supplies and materials they will be providing. If you have any questions about the contract the contractor should be able to explain it to you. If the explanation is still not satisfactory seek outside advice from family, friends or an attorney to make sure the contract is not something you will regret signing later. Some investors may not care as much about the quality of the work they want done and be more interested in how much they are paying for the work. Considering the investment in real estate is not just a cash flowing investment but also a long term investment to hold it makes sense to make sure the quality of the work is there as lower quality work can quickly cause the cash flow to shrink because of the need to repair things that go bad again sooner than they should. As a result investors should not only consider the cost of a project but also evaluate the ability of the contractor to provide a quality job. Out of state investors have a harder time of finding good contractors since they are not able to interview them in person or see real life examples of their work. Sometimes with no one to supervise the work contractors can fall behind or feel like they have the luxury of time. Out of state investors should hire trusted project managers who can oversee the work, make sure things get done on time and are up to the required standards. 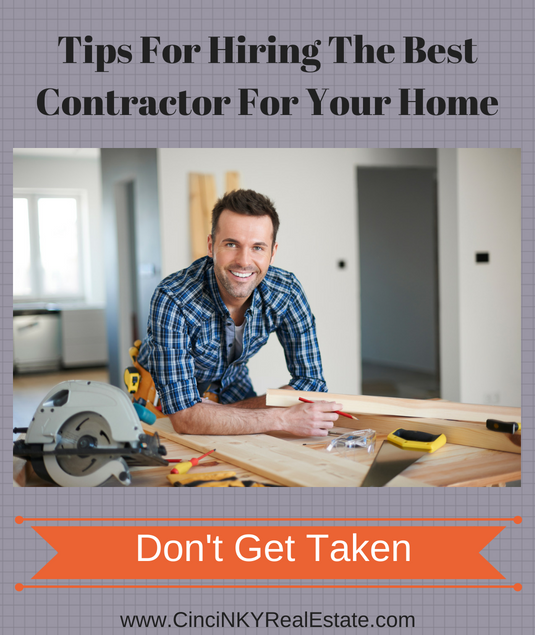 Finding the right contractor to do work in your home can be a challenging task. With the rights steps though homeowners can determine the project they want to accomplish and find quality contractors who can help them make their home into what they want it to be. The cheapest and first to offer to do work may not always be the best bet and could end up costing more in the long term. About the author: The above article “Tips For Hiring The Best Contractor For Your Home” was provided by Luxury Real Estate Specialist Paul Sian. Paul can be reached at paul@CinciNKYRealEstate.com or by phone at 513-560-8002. If you’re thinking of selling or buying your investment or commercial business property I would love to share my marketing knowledge and expertise to help you. Contact me today!